Last night, Sunday, Arab terrorists attacked a vehicle driven by Chabadniks on their way to perform Chanukah outreach with soldiers stationed along Route 60 in the Judea region south of Jerusalem. 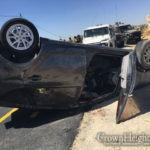 Miraculously, neither the car’s owner, Rabbi Daniel Ariel of Beitar Illit, nor his four children who were also in the car during the attack, were injured. 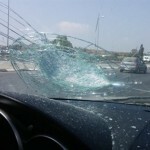 The car’s front window, however, was smashed, and the large menorah placed on top of the car damaged. 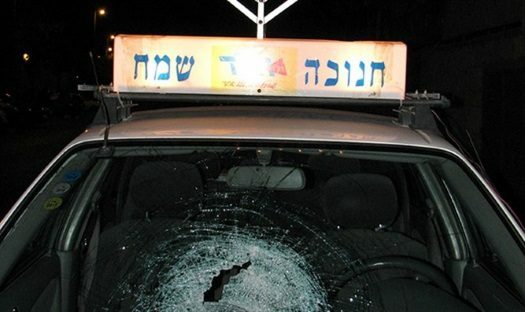 Following the attack, the vehicle continued to the military base near the community of Karmei Tzur, where the Chabad emissaries reported the incident, and the scope of the miracle was discovered: The inside of the vehicle was filled with thousands of tiny glass shards, but not one of the passengers had been scratched. The Rebbe would have said something like this before Gimel Tamuz. 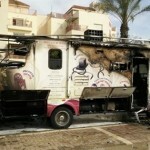 This shows us that we all have to work harder for Sh’Lemus Ha’Aretz. On a positive note: Even though The fight for Sh’Lemus Ha’Aretz seems overwhelming. We need to remember what it was like to fight for Yiddishkeit in the Former Soviet Union (the 2nd most powerful country in the world).